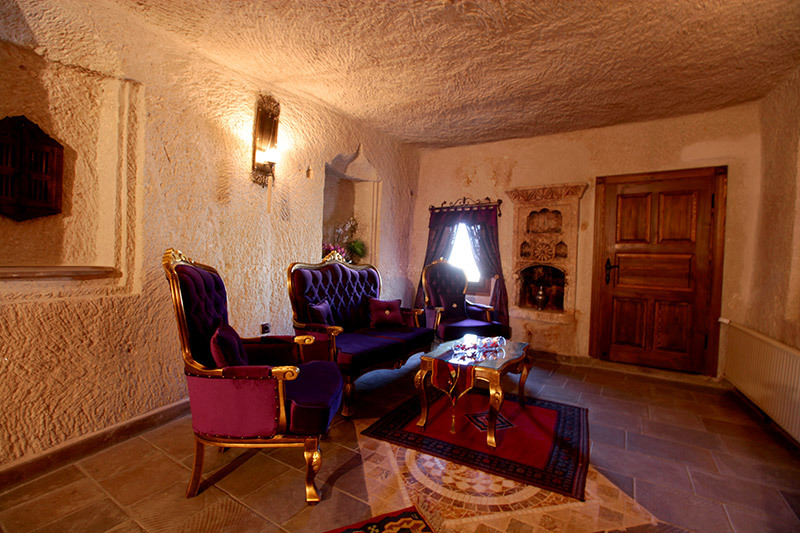 Room with original fireplaces, king cave suit and in the name of the structure was originally taken from the fireplace. 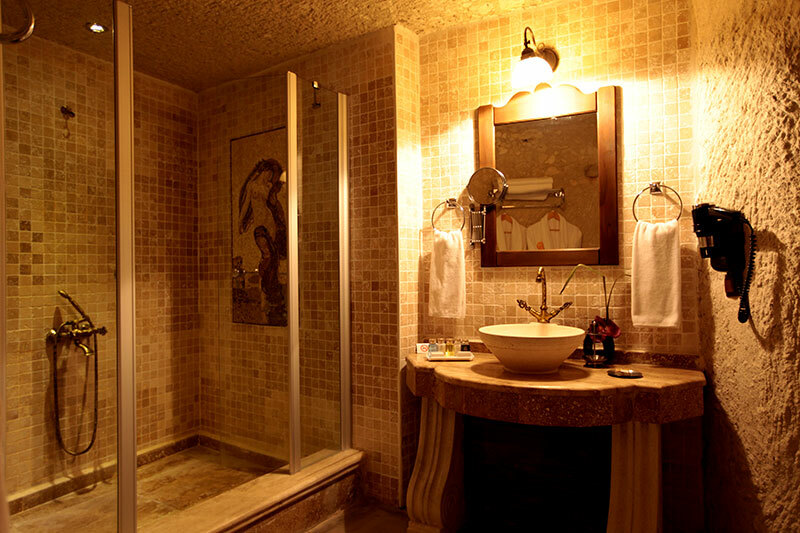 The largest suite hotel with 45 m2. 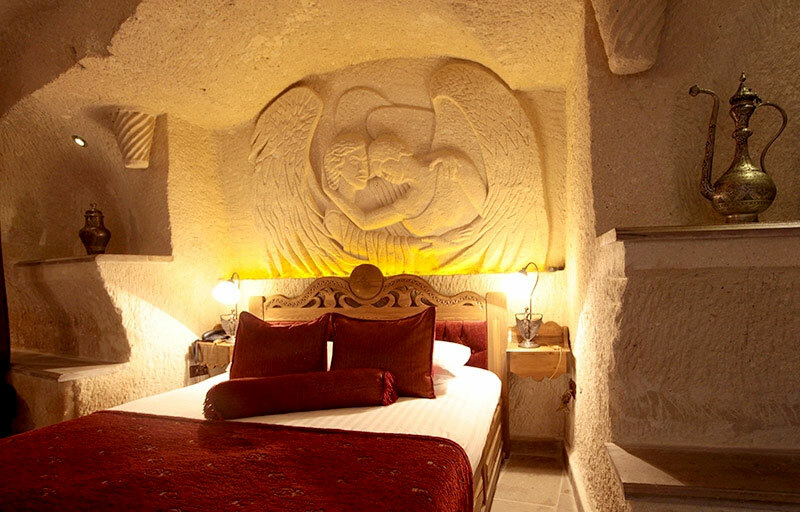 In the room, hand-carved from the rock with the angels are depicted. 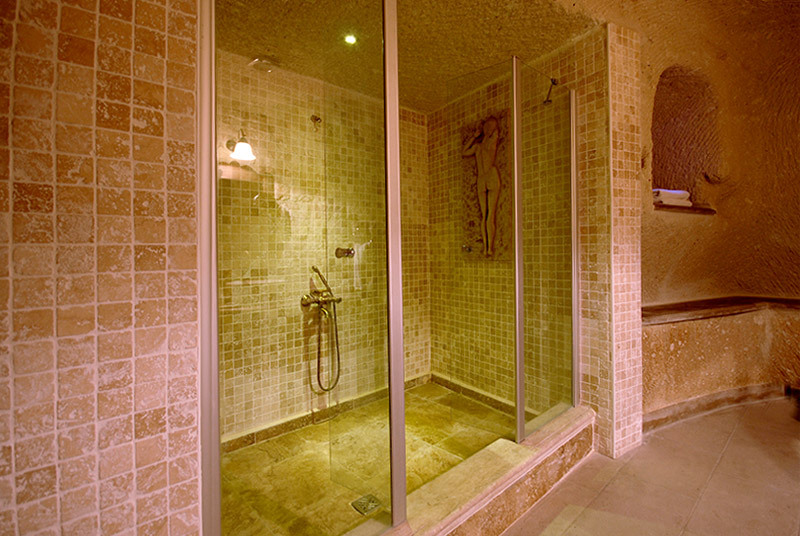 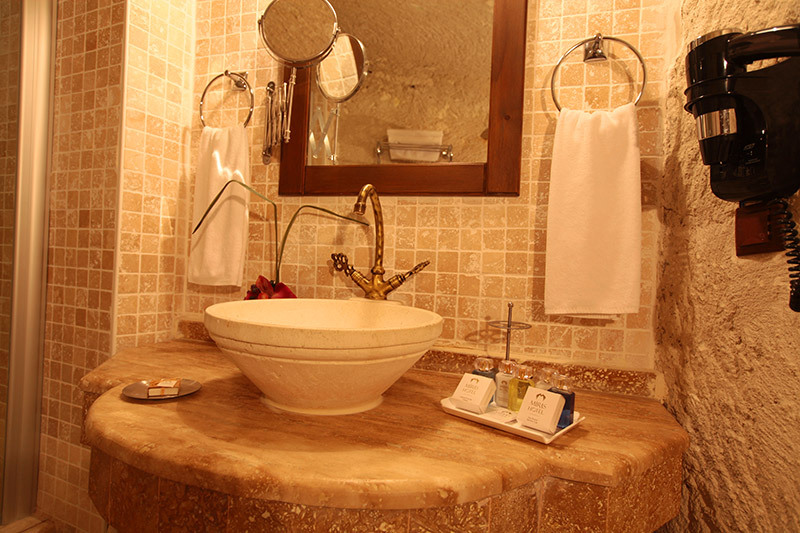 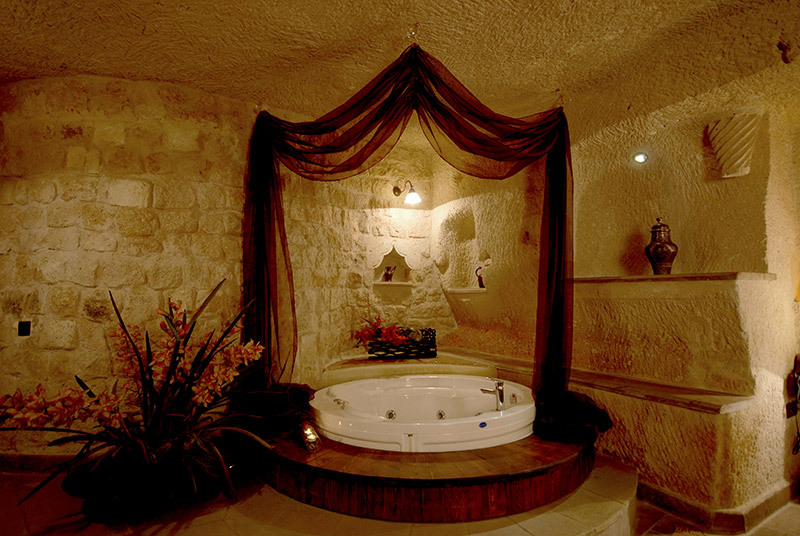 Jacuzzi is in the room and also available seperated bathroom with a shower. 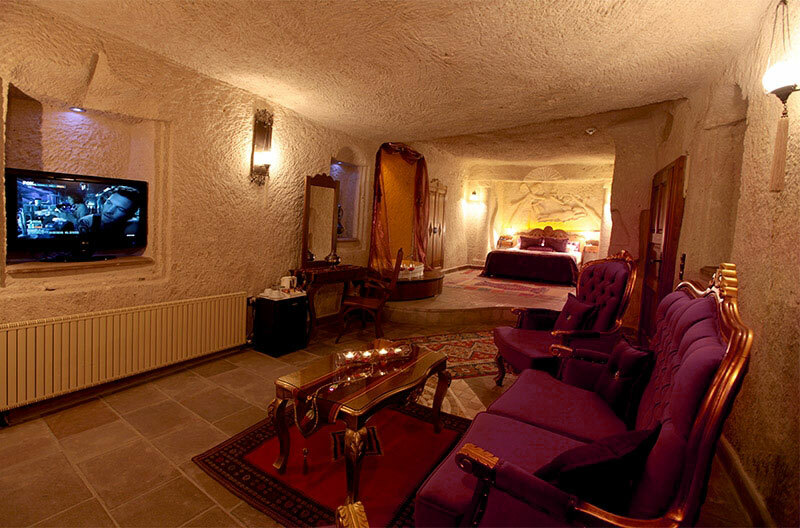 The room has its own balcony with perfect views of Goreme. 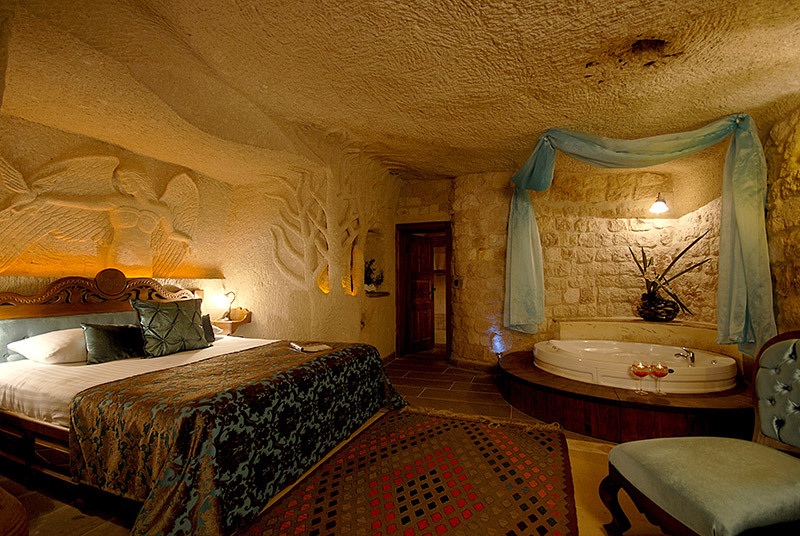 40 m2 Room with tree carved design. 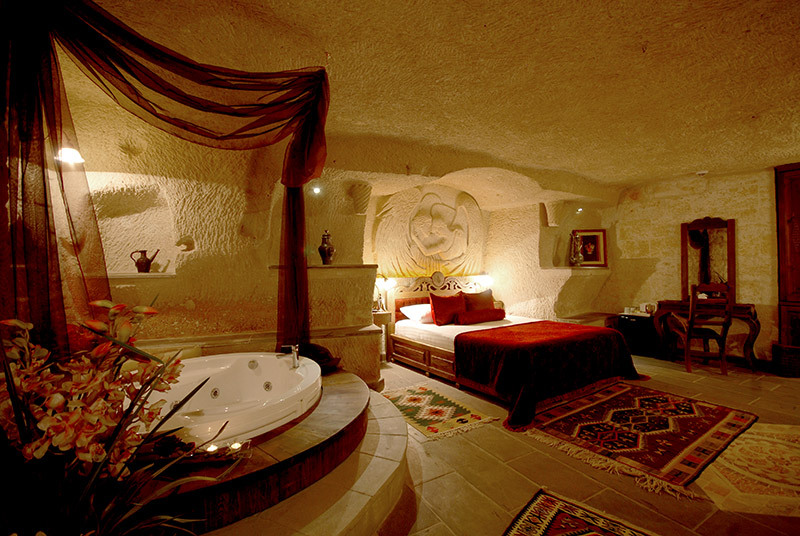 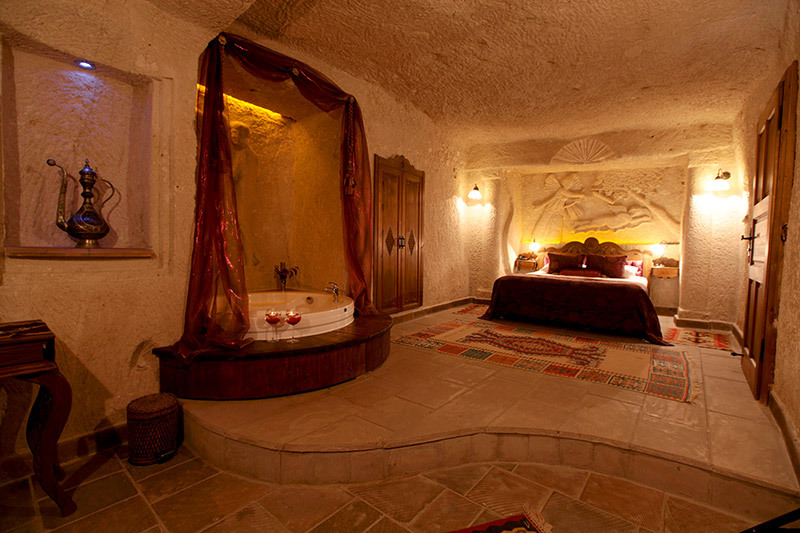 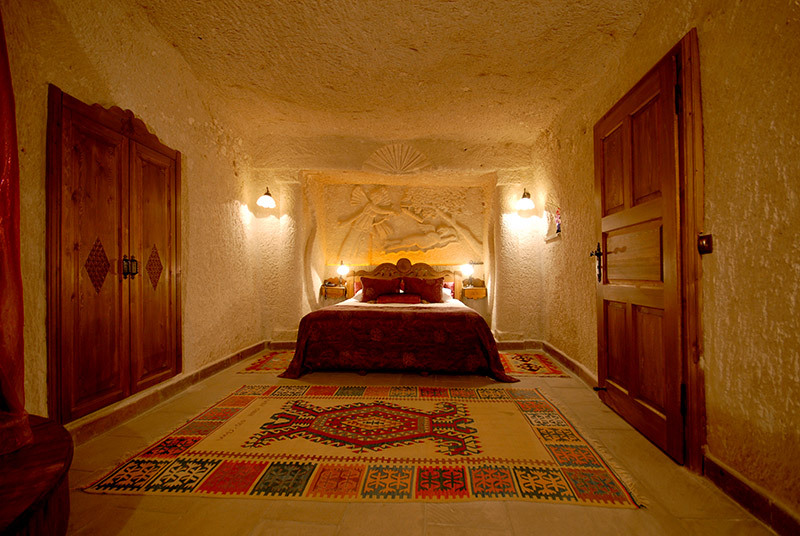 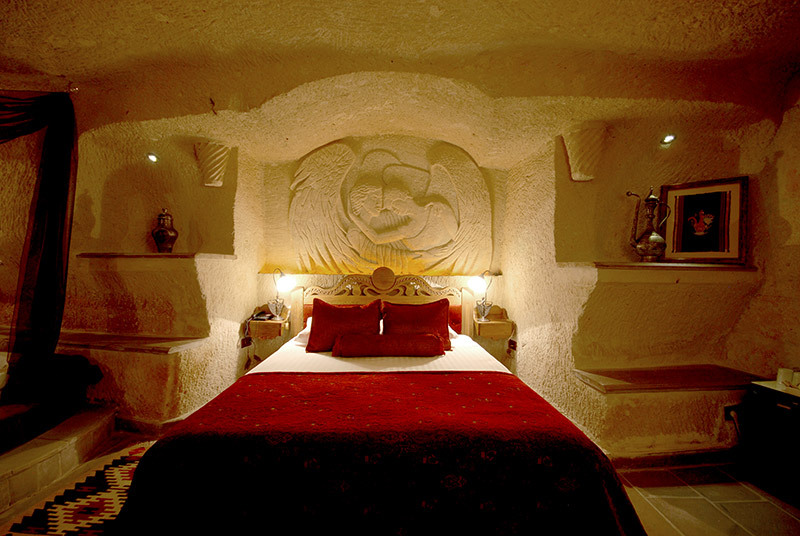 This room is king cave suit and stone work in the name of the tree was carved. 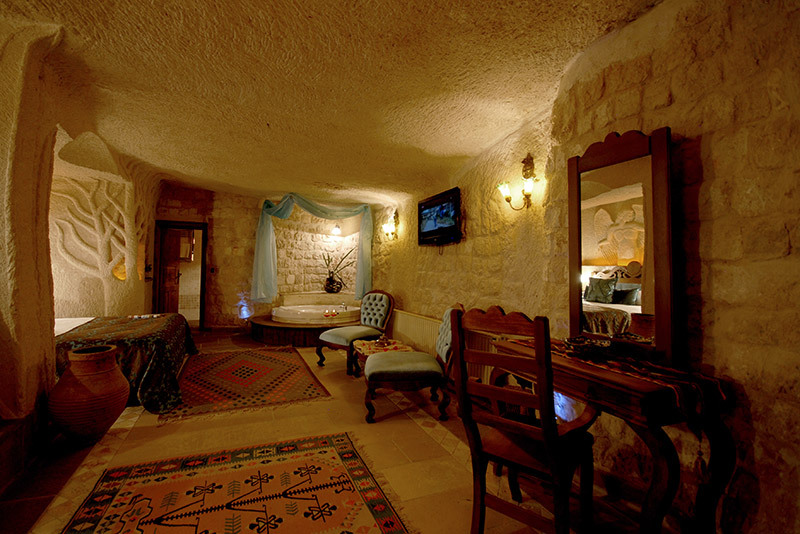 Room also include divan side. 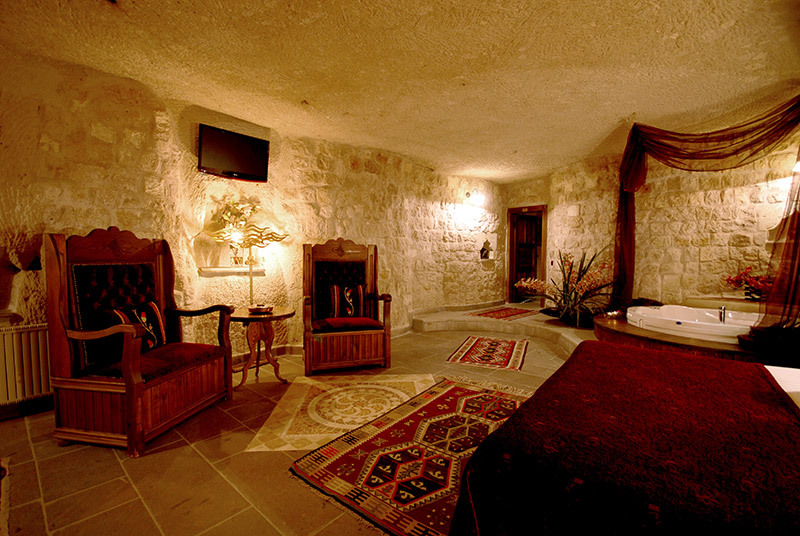 As other rooms, this room has also different examples of indigenous rugs. 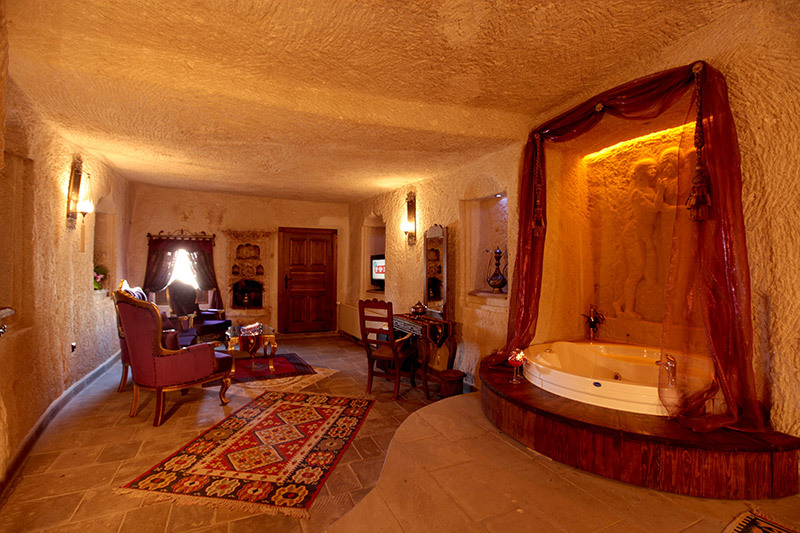 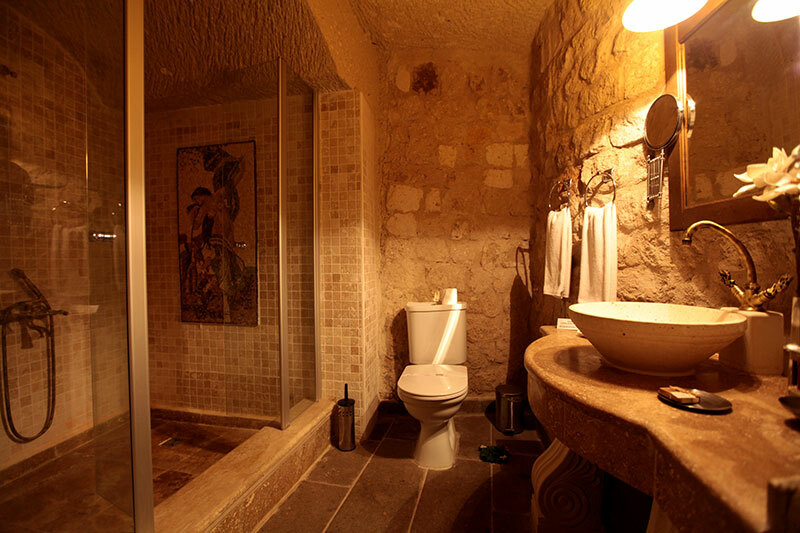 Room has a Jacuzzi and seperated bathroom with shower. 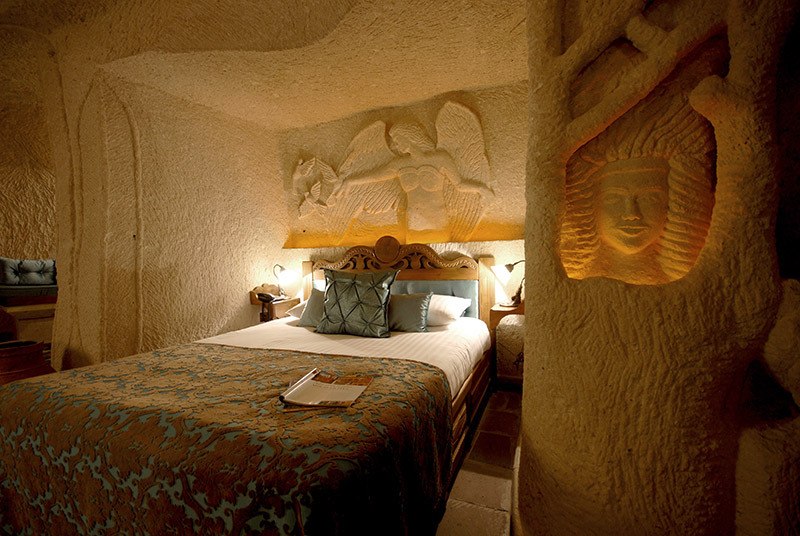 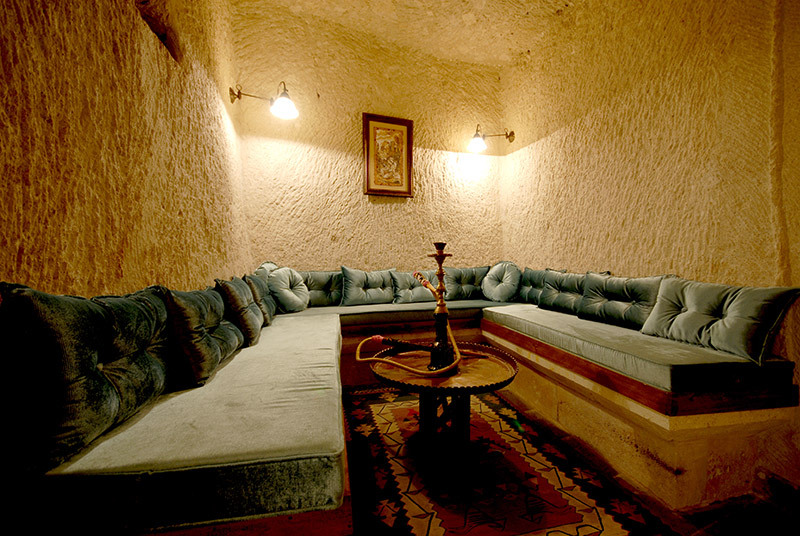 Our second-largest king cave suit room with 44 m2 the room has taken its name from the great angel figures on it's wall. 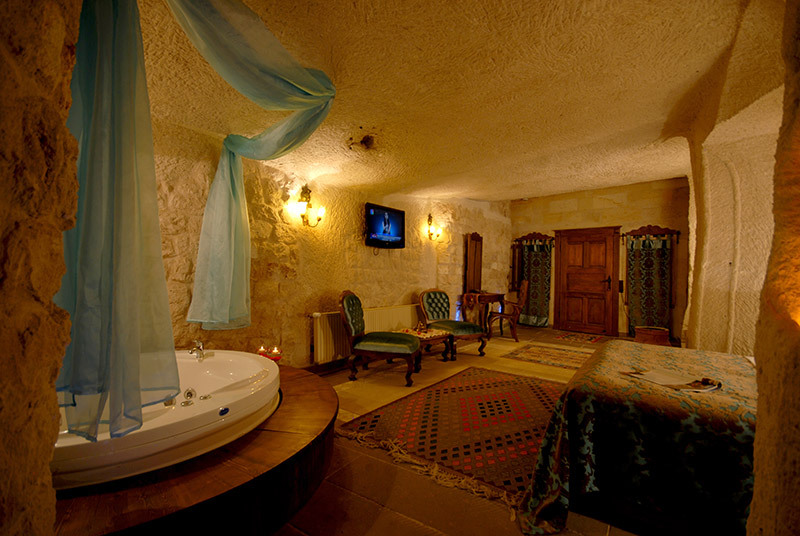 this room also offers you a Jacuzzi in the room and seperated bathroom with shower. 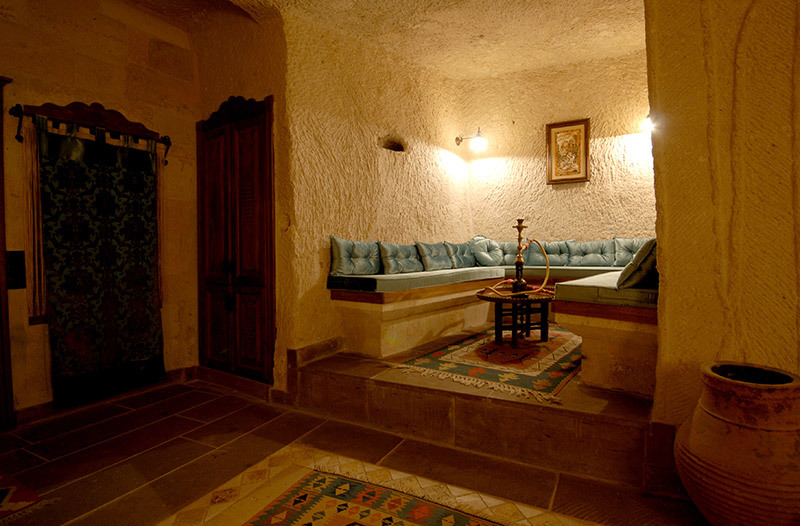 Room door opens to the terrace where the pool is located. 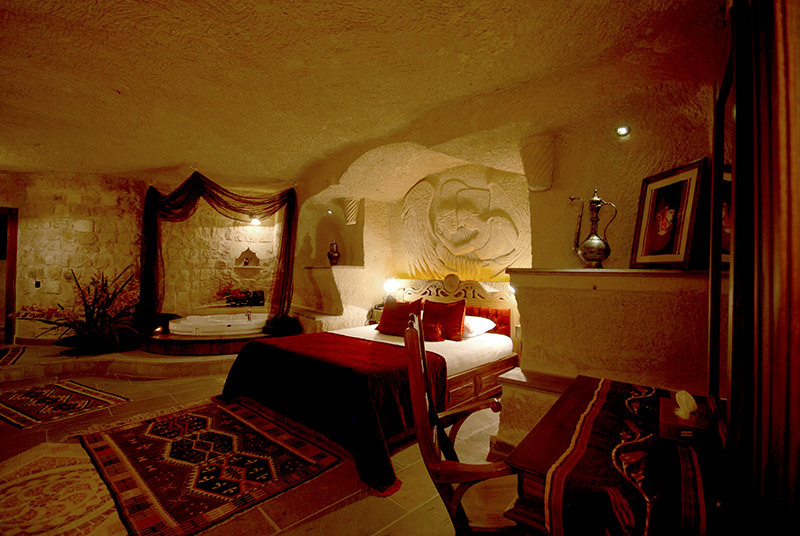 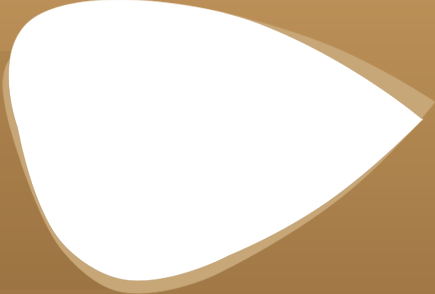 Traces of ottoman can be seen in the decoration of the room.